You may have noticed the jazzy new colours adorning our website and social media accounts. This dashing new look is part of our new and improved identity - we wanted a makeover to commemorate the festival’s grand entrance into double figures. 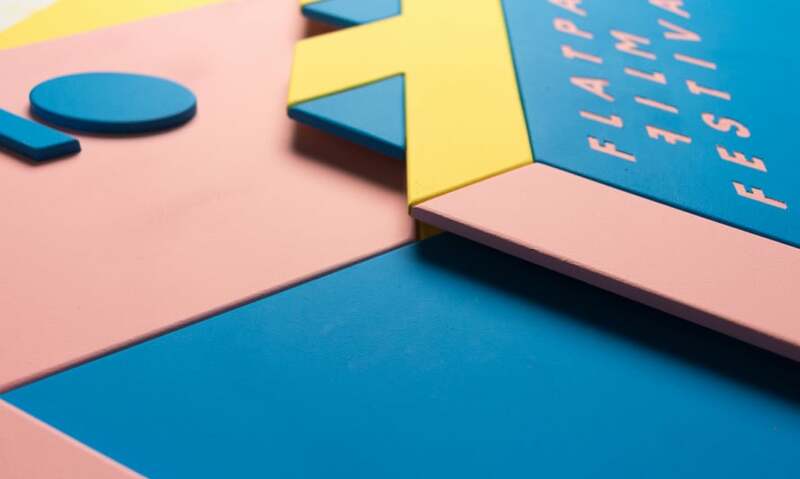 We wanted something celebratory; something befitting Flatpack’s usual eye-catching design that reflects the spirit of our festival, with a slightly more partyish element given the festivals impending birthday. It wasn’t as easy as a fresh coat of digital paint and some new shapes though. The reason our new look is so three dimensional is because it is, made from pieces of coloured wood, as you can see by our timelapse of the photoshoot below. We’re really pleased with how it turned out - hope you like it!